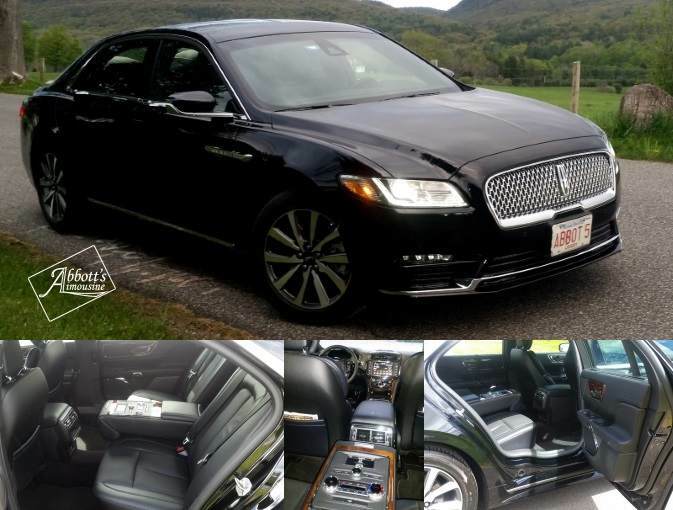 2017 Lincoln Continental Livery Technology Sedan. 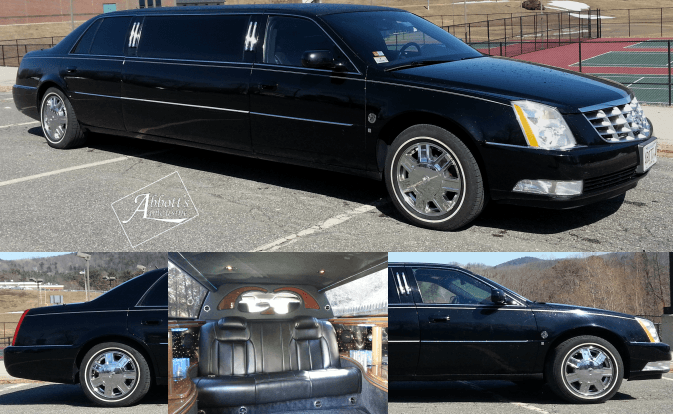 Limousines: Our Cadillac Limousines can accommodate up to six passengers comfortably with luggage. Everyone loves our MKT Lincoln Town Car. Definitely a major change from the traditional Sedan Town Car but surprisingly the MKT seems to have a bit more room for backseat passengers as well as more room for cargo. 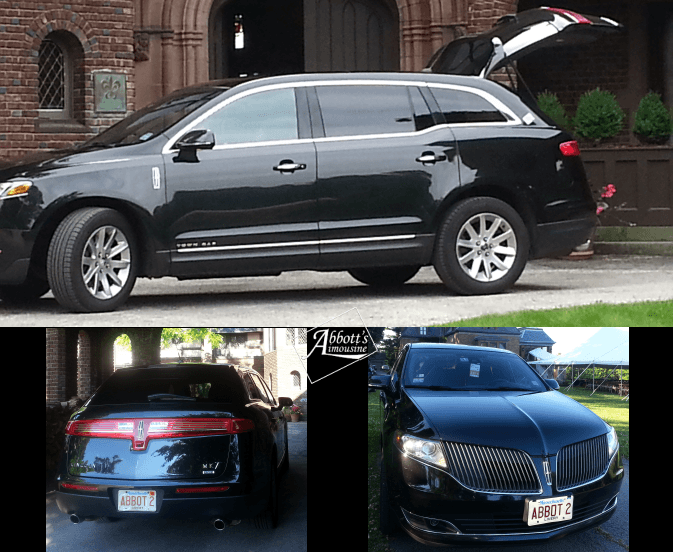 When you call Abbott’s Limo to schedule your ride make an inquiry about the availability of our new MKT Lincoln Town Car and test ride in it yourself. 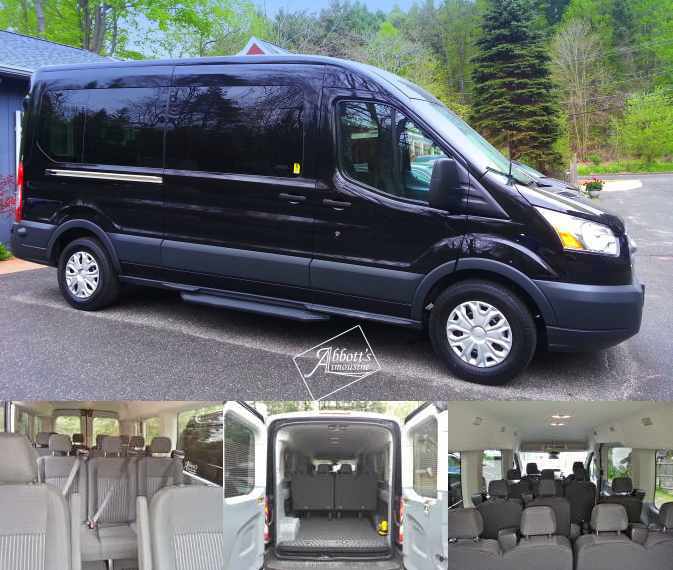 2016 Ford Transit 11 passenger Van This luxury van will accommodate 11 passengers plus the driver with ample room for your luggage. Access for rear passengers is outstanding with easy isle access and plenty of headroom to stand. The dual heat and air conditioning make climate control easy and comfortable. There is also privacy glass if you desire to use it. 2015 GMC Savanah our 8 passenger plus luggage van is decked out with all the candy. It features a panoramic sport roof with a vista view sky light, Fiber optic ceiling, sofa bed, 6 captain’s chairs, 29 inch blue-ray TV, electronic hidden running boards, and ground effects lighting. This is one of the sweetest rides you can get! 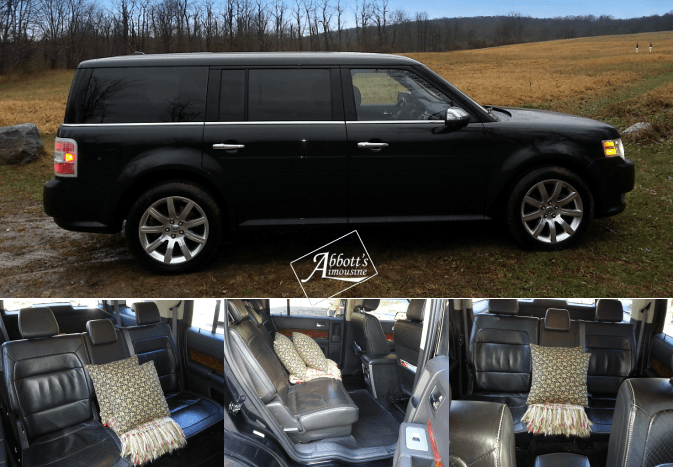 With our Ford Flex you can have pure luxury and comfort for 4 passengers in our Ford Flex crossover wagon. 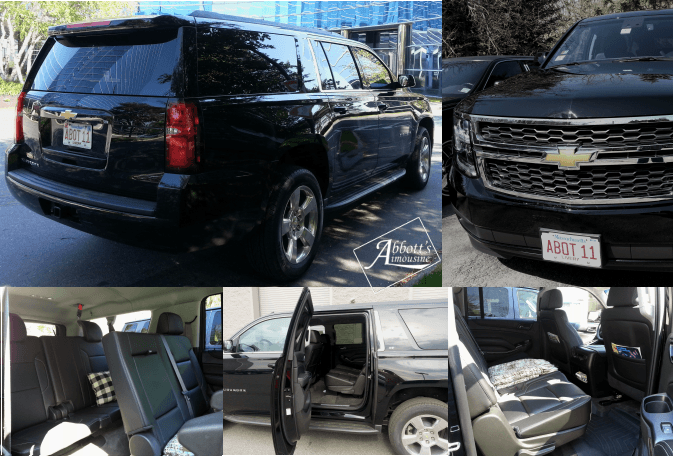 This rig is as close to an old school station wagon as you can get in today’s world with a classy well designed interior that has plenty of room, all-wheel drive, This is a premier ride for your family or a small group. Now for all you SUV fans we has just acquired an awesome 2015 redesigned Suburban with more middle and 3rd row room. The extended rear doors make it easier to enter this is a 6 passenger plus luggage rig. Now with added safety there are side airbags should make your ride safer. A sweet addition to our Limousine fleet 8 passenger black Lincoln limousine. With 5 doors and a Bentley interior. 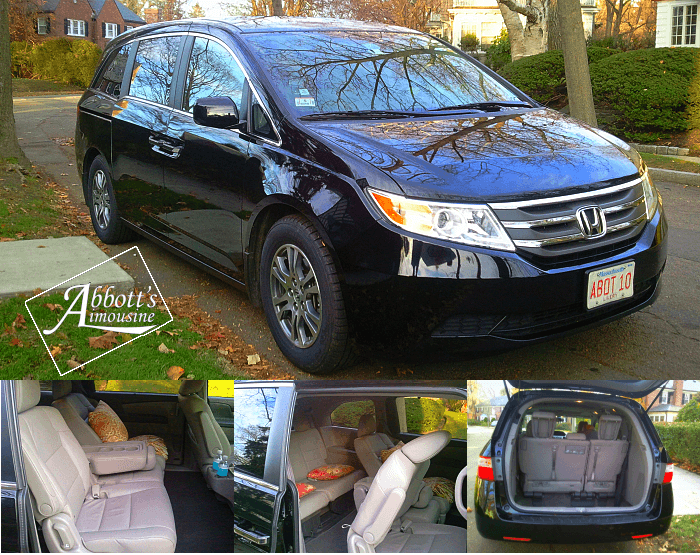 Our 2014 Honda Odyssey LX has super comfortable leather seats, a reclining full bench middle row seat. Large well for luggage, Sun shades, XM radio this car is great for 5 people with luggage. Extended Sedans: We use only the safest and most reliable luxury vehicles that accommodate up to four passengers comfortably with luggage. They are longer than the average sedan allowing for 6 inches extra trunk room and 6 more inches of leg room. References readily available for all services. 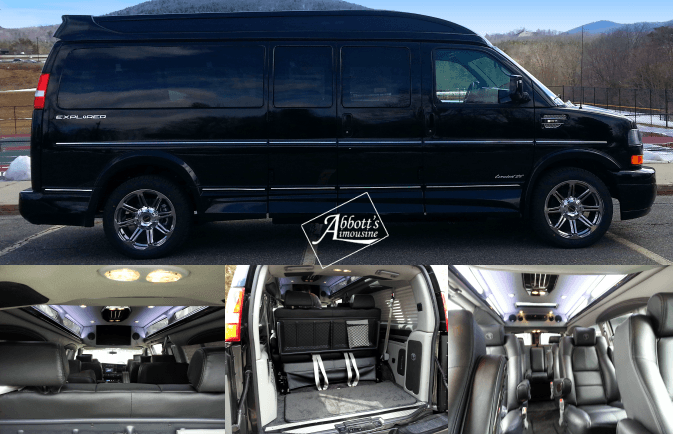 Special events: If you can dream it we can get you there in comfort, in style, and on time. We will also drive your car to any location within the United States.